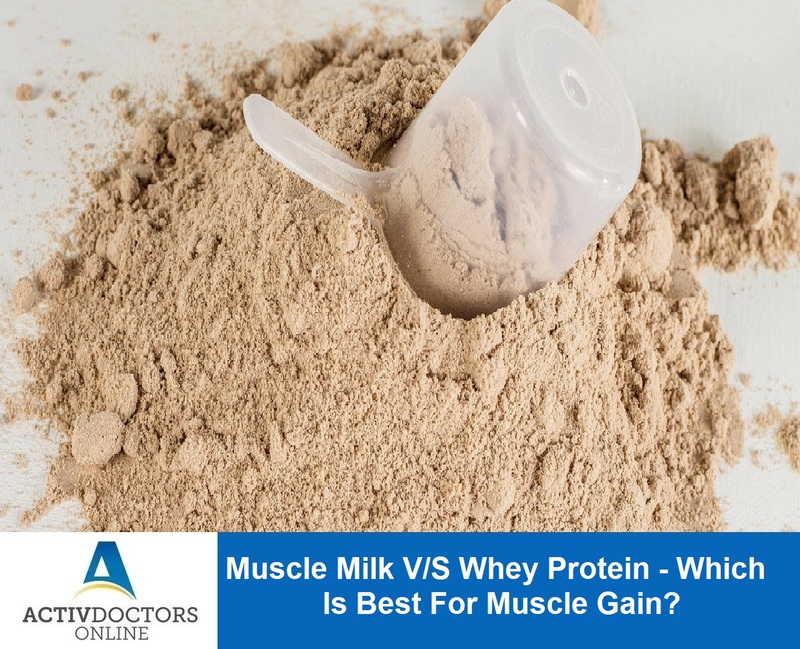 Muscle Milk V/S Whey Protein – Which Is Best For Muscle Gain??? If you are a person who constantly hit to gym to either shape your body, add muscle bulk or to reduce weight then you will be very well aware of proteins and protein supplements! Proteins are the building blocks of our body and a must nutrient to help you gain your muscle! The most commonly considered proteins in gym or fitness setting is Muscle Milk and Whey Protein! Most of them are not clear about the fact that both proteins are different and both have independent and unrelated contribution to gain muscle!! In order to understand which is best to gain muscle, we need to have a clear idea on the composition, how the proteins work and so on. Here is an attempt to help you choose the best to gain your muscle! Muscle Milk is costly when compared to Whey Protein. Based on an individual’s requirement, the supplement can be chosen! So now you can decide by yourself on what is best for you? If you are looking to gain solid muscle then opt for Muscle milk and if losing weight and gaining leaner muscle is your goal then opt for Whey Protein! No food supplement can be considered as best! It can be ideal for a few! !